Your friendly neighbourhood, all-caps-tweeting pharmacy is on the move. 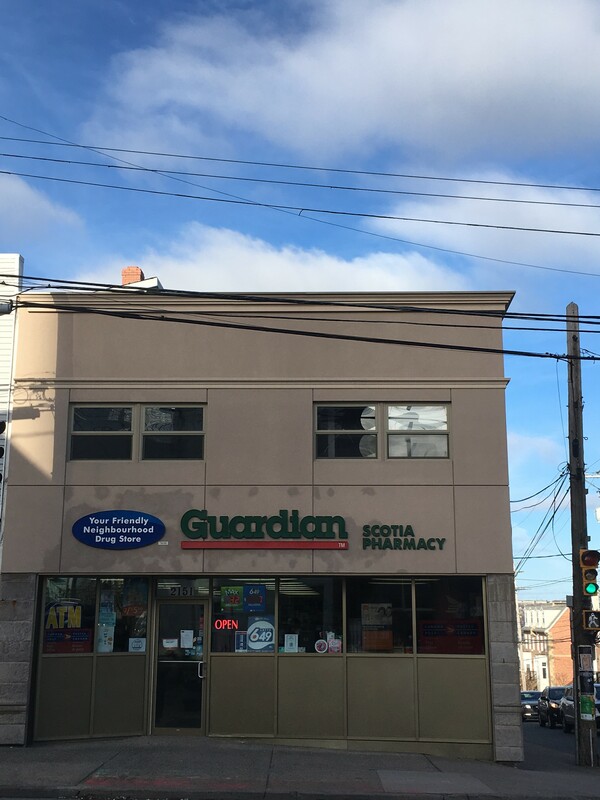 The north end’s beloved Scotia Pharmacy (2151 Gottingen Street) announced it’ll be making the very short jaunt across the street and moving into the MacDonald Building (2131 Gottingen Street—where the home of chicken delight, The "No Name" Cafe, was for 24 years). “It’s a smaller spot,” says Scotia’s Jenn Jorna, “but we’re pretty excited because we have such a dank little pharmacy now and we needed new life.” While the downsize means no post office services post-move, the new location puts the pharmacy under the same roof as North End Community Health Centre and MOSH (Mobile Outreach Street Health)—“one of the doctors approached us when The Cafe was closing,” adds Jorna—and makes way for a new home for fellow Gottingen Street resident Direction 180, which will take over the 2151 space. “The push is on for March 19,” says Jorna. The jury is still out on whether there will be dinner rolls with purchase.